A study of otitis media is described which requires a special method for treatment comparision because of the lack of a gold standard for disease assessment. 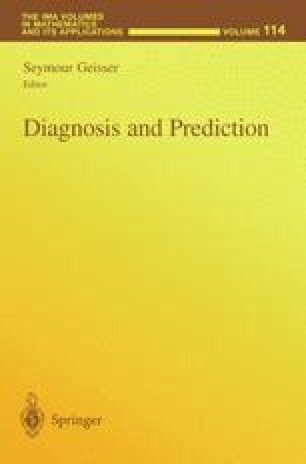 In this paper, we investigate the use of two diagnostic procedures to estimate and to test the treatment difference; a byproduct of this maximum likelihood-based procedure is the estimates of sensitivity and specificity of each diagnostic procedure involved. We also investigate, by simulation, the power of the proposed procedure. Supported by grant number P01-DC00133 from the National Institute on Deafness and Other Communicative Disorders.